The T3 Trade the Trend Strategy for Futures is designed to get you into a trend after the conditions switch to a high probability setup. It uses range bars to identify price action. The rules that are monitored are summarized and plotted as red and green backgrounds seen as horizontal bars at the bottom of the chart. 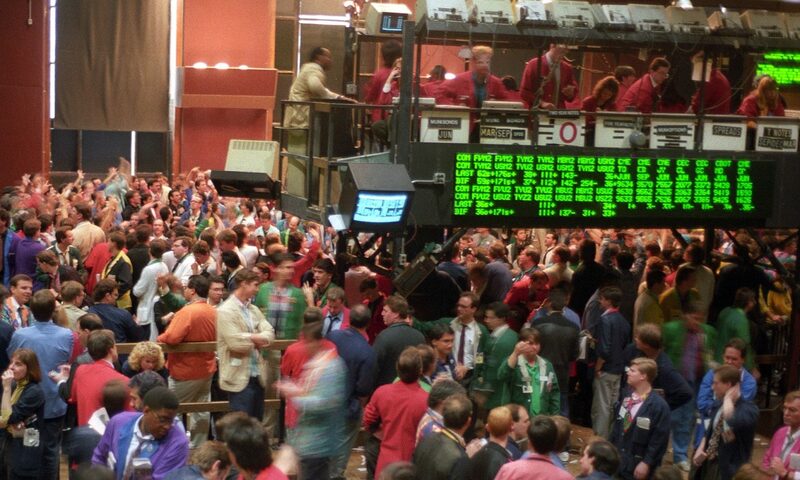 Each bar is a visual representation of a buying or selling trend from different time frames. So instead of watching multiple lines on two or more charts, the color bars give a quick assessment of the trend indicators. When all 3 line up, that is the first part of your setup. The last thing needed is a Trend bar to close, along with all 3 bars at the bottom being Green, then a long entry is signaled. Similarly, when a Down Trend bar forms and the three bars turn red, a short signal is sent. The rules of this high probability “Golden Setup” have been built into the T3 Auto Trader. 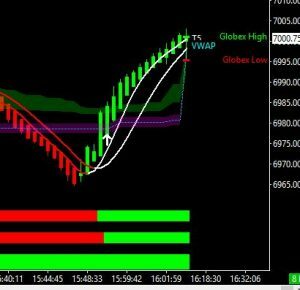 With Sierra Chart, this set of chartbooks, and the custom auto-trading study, you can be in a trade faster than you can spot it. Now you can own the system that has helped so many learn how to trade profitably. 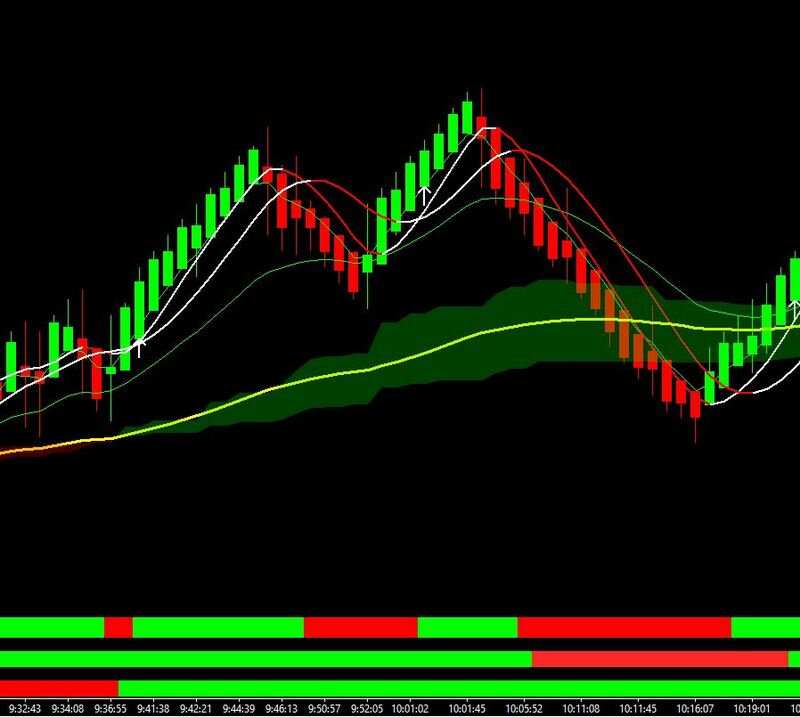 The T3 Version 3.0 auto-trader monitors the multiple conditions and quickly signals a possible trade. You can choose to see the signals and act on them yourself or let the auto-trader enter the trade for you. At all times you can perform manual trading, it is never disabled. You can also disable automated trading on a chart by chart basis and system-wide at any time. You can order this system today, and usually within 24 hours, your account will be configured for automatic download.